The establishment media just keep getting worse. They’re further and further from good, tough investigative journalism, and more prone to be pawns in complicated games that affect the public interest in untold ways. A significant recent example is The New Yorker’s vaunted August 8 exclusive on the vanquishing of Osama bin Laden. The piece, trumpeted as the most detailed account to date of the May 1 raid in Abbottabad Pakistan, was an instant hit. “Got the chills half dozen times reading @NewYorker killing bin Laden tick tock…exquisite journalism,” tweeted the digital director of the PBS show Frontline. 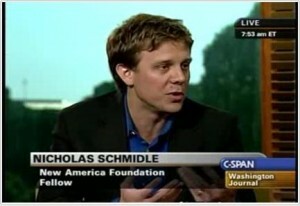 The author, freelancer Nicholas Schmidle, was quickly featured on the Charlie Rose show, an influential determiner of “chattering class” opinion. Other news outlets rushed to praise the story as “exhaustive,” “utterly compelling,” and on and on. James, a broad-chested man in his late thirties, does not have the lithe swimmer’s frame that one might expect of a SEAL—he is built more like a discus thrower. That night, he wore a shirt and trousers in Desert Digital Camouflage, and carried a silenced Sig Sauer P226 pistol, along with extra ammunition; a CamelBak, for hydration; and gel shots, for endurance. He held a short-barrel, silenced M4 rifle. (Others SEALs had chosen the Heckler & Koch MP7.) A “blowout kit,” for treating field trauma, was tucked into the small of James’s back. Stuffed into one of his pockets was a laminated gridded map of the compound. In another pocket was a booklet with photographs and physical descriptions of the people suspected of being inside. He wore a noise-cancelling headset, which blocked out nearly everything besides his heartbeat. …a casual reader of the article wouldn’t know that; neither the article nor an editor’s note describes the sourcing for parts of the story. Schmidle, in fact, piles up so many details about some of the men, such as their thoughts at various times, that the article leaves a strong impression that he spoke with them directly. On a story of this gravity, should we automatically join in with the huzzahs because it has the imprimatur of America’s most respected magazine? Or would we be wise to approach it with caution? Most of us are not the trusting naïfs we once were. And with good reason. And untold millions don’t think we’ve heard the real (or at least complete) story of the phenomenal, complex success of those 19 hijackers on Sept. 11, 2001. Skeptics now include former White House counterterrorism adviser Richard Clarke, who recently speculated that the hijackers may have been able to enter the US and move freely precisely because American intelligence hoped to recruit them as double agents—and that an ongoing cover-up is designed to hide this. And then, of course, there are the Pentagon’s account of the heroic rescue of Jessica Lynch in Iraq, which turned out to be a hoax, and the Pentagon’s fabricated account of the heroic battle death of former NFL player Pat Tillman in Afghanistan, who turned out to be a victim of friendly fire. These are just a few from scores of examples of deceit perpetrated upon the American people. Hardly the kind of track record to inspire confidence in official explanations with the imprimatur of the military and the CIA. Whatever one thinks of these other matters, we’re certainly now at a point where we ought to be prudent in embracing authorized accounts of the latest seismic event: the dramatic end to one of America’s most reviled and storied nemeses. Clarke’s theory will seem less outrageous later, as we explore Saudi intelligence’s crucial, and bizarre, role at the end of bin Laden’s life—working directly with the man who now holds Clarke’s job. Add to all of this the discovery that the reporter providing this newest account wasn’t even allowed to talk to any raid participants—and the magazine’s lack of candor on this point—and you’ve got an almost unassailable case for treating the New Yorker story with extreme caution. We might begin by asking the question: Who provided The New Yorker with its exclusive, and what was their agenda in doing so? To try and sort out Schmidle’s sources, I read through the piece carefully several times. The mere fact of Schmidle’s reliance on Brennan at all should send up a flare for the cautious reader. After all, that’s the very same Brennan who was the principal source of incorrect details in the hours and days after the raid. These included the claim that the SEALs encountered substantial armed resistance, not least from bin Laden himself; that it took them an astounding 40 minutes to get to bin Laden, and that the White House got to hear the soldiers’ conversations in real time. Half an hour had passed on the ground, but the American commandos raiding Osama bin Laden’s Pakistani hideaway had yet to find their long-sought target. 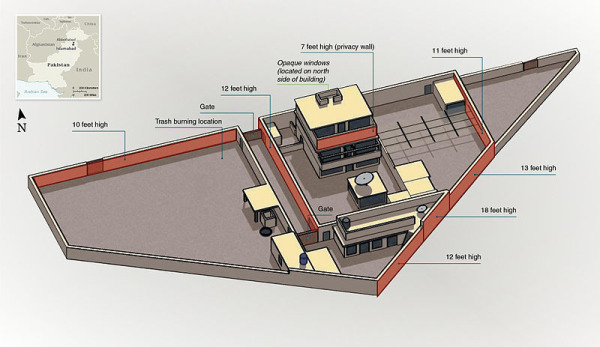 …The commandos swept methodically through the compound’s main building, clearing one room and then another as they made their way to the upper floors where they expected to find bin Laden. As they did so, Obama administration officials in the White House Situation Room listened to the SEAL team’s conversations over secure lines. Finally, shortly before 2 a.m. in Pakistan, the commandos burst into an upstairs room.Inside, an armed bin Laden took cover behind a woman, Brennan said. With a burst of gunfire, one of the longest and costliest manhunts in modern history was over. .. The commandos moved inside, and finally reached bin Laden’s upstairs living quarters after nearly 40 minutes on the ground. Almost all that turns out to be hogwash—according to the new account produced by The New Yorker three months later. An account that, again, it seems, comes courtesy of Brennan. The minutes did not pass like days. Bin Laden was not armed, and did not take cover behind a woman. And the commandoes most certainly were not on the ground for 40 minutes. Some of them were up the stairs to the higher floors almost in a flash, and it didn’t take long for them to run into and kill bin Laden. According to the officials’ account, as the first SEAL team moved into the compound, they took small-arms fire from the guest house in the compound. The SEALs returned fire, killing bin Laden’s courier and the courier’s wife, who died in the crossfire. It was the only time the SEALs were shot at. The second SEAL team entered the first floor of the main residence and could see a man standing in the dark with one hand behind his back. Fearing he was hiding a weapon, the SEALs shot and killed the lone man, who turned out to be unarmed. As the U.S. commandos moved through the house, they found several stashes of weapons and barricades, as if the residents were prepared for a violent and lengthy standoff — which never materialized. The SEALs then made their way up a staircase, where they ran into one of bin Laden’s sons. The Americans immediately shot and killed the 19-year-old son, who was also unarmed, according to the officials. Hearing the shots, bin Laden peered over the railing from the floor above. The SEALs fired but missed bin Laden, who ducked back into his bedroom. As the SEALs stormed up the stairs, two young girls ran from the room. One SEAL scooped them up and carried them out of harm’s way. The other two commandos stormed into bin Laden’s bedroom. One of bin Laden’s wives rushed toward the Navy SEAL, who shot her in the leg. Then, without hesitation, the same commando turned his gun on bin Laden, standing in what appeared to be pajamas, and fired two quick shots, one to the chest and one to the head. Although there were weapons in that bedroom, bin Laden was also unarmed when he was shot. Instead of a chaotic firefight, the U.S. officials said, the American commando assault was a precision operation, with SEALs moving carefully through the compound, room to room, floor to floor. In fact, most of the operation was spent in what the military calls “exploiting the site,” gathering up the computers, hard drives, cellphones and files that could provide valuable intelligence on al-Qaida operatives and potential operations worldwide. The U.S. officials describing the operation said the SEALs carefully gathered up 22 women and children to ensure they were not harmed. Some of the women were put in “flexi-cuffs” the plastic straps used to bind someone’s hands at the wrists, and left them for Pakistani security forces to discover. A senior counterterrorism official who visited the JSOC redoubt described it as an enclave of unusual secrecy and discretion. “Everything they were working on was closely held,” the official said. From the story’s construction, one could reasonably conclude that the unnamed counterterrorism official is indeed still just Brennan. If not, who could it be? How many different white House counterterrorism officials would have debriefed the SEALs, if indeed that is even their role? 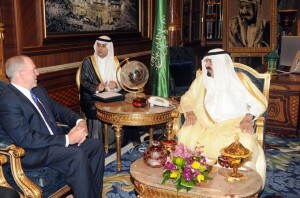 How many would have been privy to that planning meeting? And how many different officials would have gotten authorization to sum up the events of that important day for this New Yorker writer? Also, it’s an old journalistic trick to quote the same source, on and off the record— thereby giving the source extra cover when discussing particularly delicate matters. So, we don’t know whether the article was based on anything more than Brennan, under marching orders to clean up the conflicting accounts he originally put out. It’s curious that the source chooses to emphasize the fundamental disagreement over whether the raid was a good idea. Presumably, there was a purpose in emphasizing this, but the New Yorker’s “tick-tock”, which is very light on analysis or context, doesn’t tell us what it was. It may have been intended to show Obama as brave, inclined toward big risks (thereby running counter to his reputation)—we can only guess. This internal discord will get the attention of anyone who remembers all the assertions from intelligence officials over the years that bin Laden was almost certainly already dead—either of natural causes or killed at some previous time. 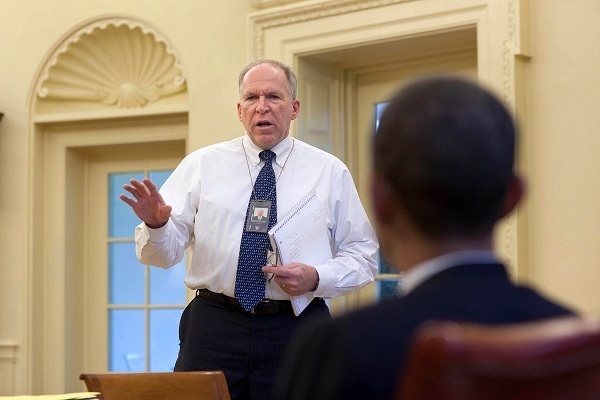 Several analysts from the National Counterterrorism Center were invited to critique the C.I.A.’s analysis; their confidence in the intelligence ranged between forty and sixty per cent. The center’s director, Michael Leiter, said that it would be preferable to wait for stronger confirmation of bin Laden’s presence in Abbottabad. Those doubts are particularly interesting for several reasons: the CIA has had a long history of disputes between its covert action wing, which tends to advocate activity, and its analysis section, historically prone to caution. The action wing also has a history of publicizing its being right—when it could purport to be right—and covering up its failures. So when an insider chooses to make public these disagreements, we should be willing to consider motives. Now, let us go to the next antechamber of this warren of shadowy entities and unstated agendas. Who exactly wanted bin Laden shot rather than taken alive and interrogated—and why? There’s been much discussion about the purported reasons for terminating him on sight, but the fact remains that he would have been a source of tremendous intelligence of real value to the safety of Americans and others. 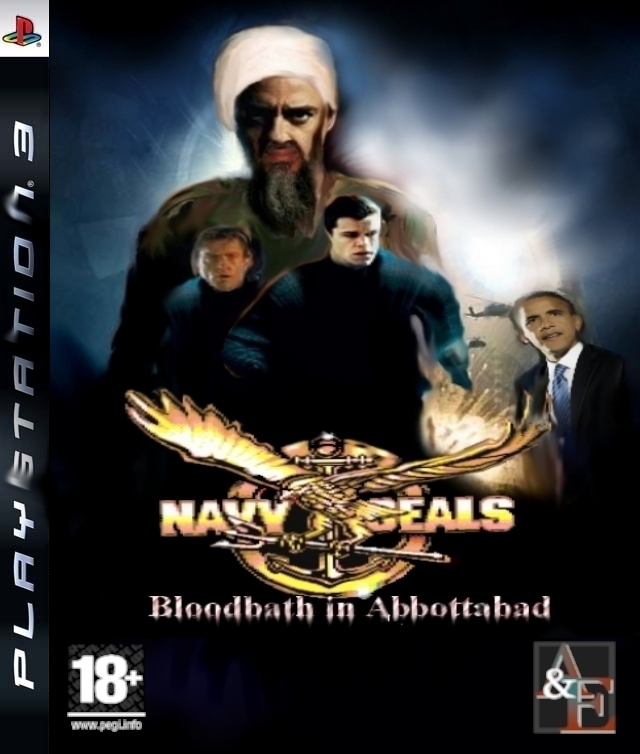 If all went according to plan, the SEALs would drop from the helicopters into the compound, overpower bin Laden’s guards, shoot and kill him at close range, and then take the corpse back to Afghanistan. That was the plan? Whose plan? We’ve never been explicitly told by the White House that such a decision had been made. In fact, we’d previously been informed that the president was glad to have the master plotter taken alive if he was unarmed and did not resist. So, that’s a huge and problematical discrepancy that is only heightened by Schmidle’s misleadingly matter-of-fact treatment of the matter. 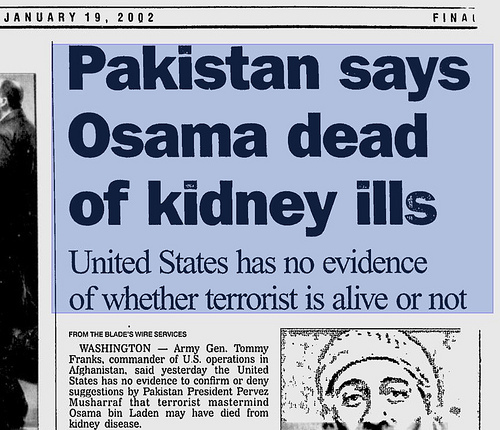 If the justification for killing Osama presented in The New Yorker warrants concern, the account of how—and why—they disposed of his body ought to send alarm bells clanging. At the time of the raid, the decision to hastily dump Osama’s body in the ocean rather than make it available for authoritative forensic examination was a highly controversial one—that only led to more speculation that the White House was hiding something. The justifications, including not wanting to bury him on land for fear of creating a shrine, were almost laughable. So what do we learn about this from The New Yorker? It’s truly bizarre: the SEALS themselves made the decision. That’s strange enough. But then we learn that Brennan took it upon himself to verify that was the right decision. How did he do this? Not by speaking with the president or top military, diplomatic or legal brass. No, he called some foreigners—get ready–the Saudis, who told him that dumping at sea sounded like a good plan. Let’s consider this. The most wanted man in the world; substantive professional doubts about whether the man in the Abbottabad house is him; tremendous public doubts about whether it could even be him; the most important operation of the Obama presidency; yet the decision about what to do with the body is left to low-level operatives. Keep in mind SEALs are trained to follow orders given by others. They’re expected to apply what they know to unexpected scenarios that come up, but the key strategic decisions— arrived at in advance—are not theirs to make. Even more strange that Brennan would discuss this with a foreign power. And not just any foreign power, but the regime that is inextricably linked with the domestically-influential family of bin Laden—and home to many of the hijackers who worked for him. Is it just me, or does this sound preposterous? Obama’s Homeland Security and Counterterrorism adviser is just winging it with key aspects of one of America’s most important, complex and risky operations? And the Saudi government is the one deciding to discard the remains of a man from one of Saudi Arabia’s most powerful families, before the public could receive proper proof of the identity of the body? A regime with a great deal at stake and perhaps plenty to hide. Also please consider this important caveat: As we noted in a previous article, the claim that the body had already been positively identified via DNA has been disputed by a DNA expert who said that insufficient time had elapsed before the sea burial to complete such tests. The line about Brennan himself having been a former CIA station chief in Saudi Arabia is just sort of dropped in there. No recognition of what it means that a person of that background was put into that position after 9/11, no recognition that a person of that background and those fraught personal connections is controlling this narrative. He’s not just a “counterterrorism expert”—he is a longtime member of an agency whose mandate includes the frequent use of disinformation. 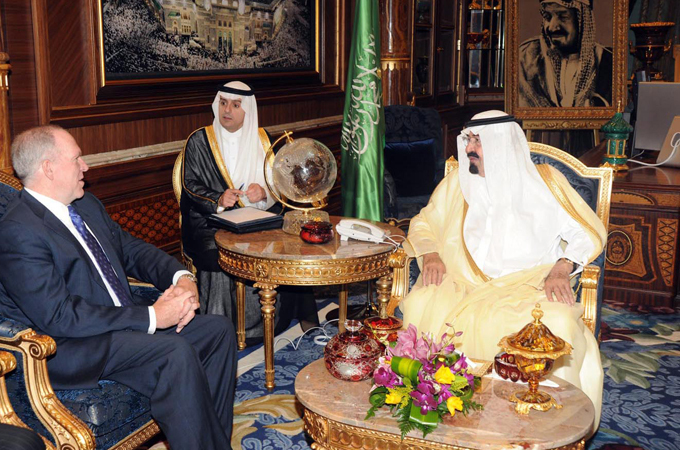 And one who has his own historic direct links to the Saudi regime, a key and problematical player in the larger chess game playing out. It’s relevant to note that Brennan is not only a career CIA officer (they say no one ever really leaves the Agency, no matter their new title) but one with a lot of baggage. He was deputy director of the CIA at the time of the 9/11 attacks. 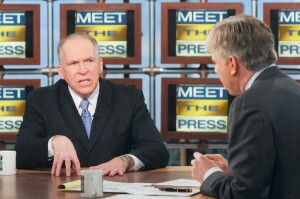 He was an adviser to Obama’s presidential campaign, after which Obama initially planned to name him CIA director. That appointment was pulled, in part due to criticism from human rights advocates over statements he had made in support of sending terrorism suspects to countries where they might be tortured. …according to a special-operations officer who is deeply familiar with the bin Laden raid. “This wasn’t a hard op,” the special-operations officer told me. “It would be like hitting a target in McLean”—the upscale Virginia suburb of Washington, D.C.
Whoops! Here’s a Special Ops guy saying the Special Ops raid was actually no big deal! Shouldn’t that, if a valid assessment, get more attention? Especially given the endless praise and frequent statements of how difficult the operation was. I mean, the toughness and diciness of the Abbottabad mission is the prime reason we want to read the New Yorker’s account in the first place! Why would a person overseeing an operation like this deflate the bubble of adoration? It doesn’t seem helpful to the interests of Special Operations – and it doesn’t seem credible, either. So there’s presumably a reason that this person is—again speaking to The New Yorker after this important exclusive has been carefully considered and strategized. We just don’t know what it is, and the magazine doesn’t even bother to wonder. Most of the other sources seem to play bit roles. One is “a senior adviser to the President” whose only comment is that Obama decided not to trust the Pakistanis with advance notice of the raid—which we already knew. Another— named—source is Ben Rhodes, a deputy national-security adviser, who does not evince any intimate knowledge of the raid itself. That’s only slipped into the article, but it is perhaps one of the most important aspects of the piece, along with a brief mention of the way in which former Iraq/Afghan commander General David Petraeus has gone to CIA while CIA director Panetta has been made Defense Secretary. This may sound too technical for your taste, but the takeaway point is that fundamental realignments are afoot in that vast, massively-funded, powerful and secretive part of the US government that is treated by the corporate press almost as if it does not exist. The tales of internal intrigue that we do not hear would begin to provide us with the real narratives that are not ours to have. In the New Yorker piece, we do learn lots of things we did not know before—for example, that Special Ops considered tunneling in or coming in by foot rather than helicopter. We learn that Secretary of Defense Robert Gates wanted to drop massive bombs on the house. General James Cartwright, vice chairman of the Joint Chiefs of Staff, shared that view—Cartwright is one of the few who is directly identified as a source for Schmidle. That’s important stuff, and worth more than brief mention. And, once again, we need more effort to try and understand why we are being told these things. Schmidle claims that the SEALs’ “recollections—on which this account is based”—are subject to dispute. But as I’ve noted, the article is NOT based on their recollections, but on what some source claims to Schmidle were their recollections. Why the summary may be imprecise and thus subject to dispute after it has been filtered by a person controlling the scenario, must be asked. Perhaps this is why The New Yorker is not permitted to speak directly to the SEALs—because of what they could tell the magazine. ..three SEALs marched up the stairs. Midway up, they saw bin Laden’s twenty-three-year-old son, Khalid, craning his neck around the corner. He then appeared at the top of the staircase with an AK-47. Khalid, who wore a white T-shirt with an overstretched neckline and had short hair and a clipped beard, fired down at the Americans. (The counterterrorism official claims that Khalid was unarmed, though still a threat worth taking seriously. “You have an adult male, late at night, in the dark, coming down the stairs at you in an Al Qaeda house—your assumption is that you’re encountering a hostile.”) At least two of the SEALs shot back and killed Khalid. Ok, that’s pretty strange. First, Schmidle asserts that Khalid bin Laden was armed and fired with an AK-47. Then he quotes this counterterrorism official—who could in fact be Brennan—saying that Khalid was unarmed. Why does the New Yorker first run the “Khalid was armed” claim as a fact, and then include the official disclaimer? What’s really going on here, even from the New Yorker’s editorial standpoint? What’s the purpose of all this? How good is intelligence work when they can’t reconstruct whether the singular focus of the operation was first spotted peeking out from a doorway, or standing on the landing above them? Uh-oh. So who is this Special Operations officer? He is directly disputing the administration’s claim on what surely matters greatly—what were President Obama’s intentions here? And did they always plan to just ignore them? That The New Yorker just drops this in with no further analysis or context is, simply put, shocking. It seems almost as if Panetta, Obama, and the people in the story who most closely approximate actual representatives of the public in a functioning democracy, were basically cut off from observing what went down that day—or from influencing what transpired. “Once those teams went into the compound I can tell you that there was a time period of almost 20 or 25 minutes where we really didn’t know just exactly what was going on. And there were some very tense moments as we were waiting for information. Panetta’s “lost 25 minutes” needs to be seen in the context of a man with civilian roots, notwithstanding two mid-60s years as a Lt. in military intel: Former Congressman, Clinton White House budget chief and Chief of Staff, credentials with civil rights and environment movements—a fellow with real distance from the true spook/military mojo. Taken together, here’s what we have: President Obama did not know exactly what was going on. 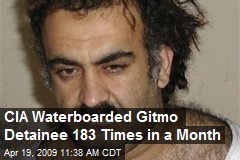 He did not decide that bin Laden should be shot. And he did not decide to dump his body in the ocean. The CIA and its Special Ops allies made all the decisions. Then Brennan, the CIA’s man, put out the version that CIA wanted. (Keep in mind that, as noted earlier, CIA was really running the operation—with Special Ops under its direction). Schmidle’s father is Marine Lt. General Robert E. “Rooster” Schmidle Jr. General Schmidle served as Commanding Officer of Special Purpose Marine Air-Ground Task Force (Experimental)—that’s essentially Special Operations akin to Navy SEALs. 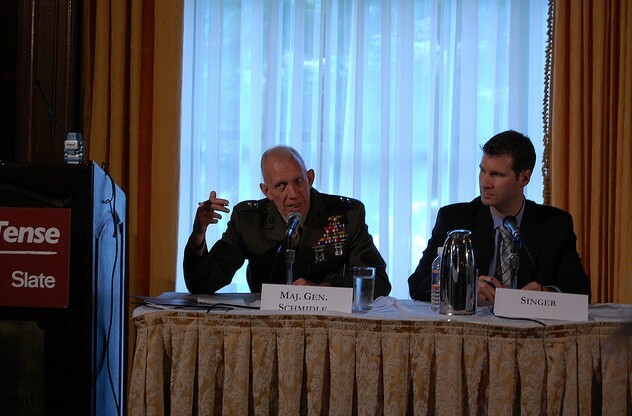 In recent years, he was “assistant deputy commandant for Programs and Resources (Programs)”—where, among other things, he oversaw “irregular warfare.” (See various, including contract specs here on “Special Operations,” and picture caption here) In 2010, he moved into another piece of this, when Obama appointed him deputy commander, U.S. Cyber Command. Cumulatively, this makes the author’s father a very important man in precisely the sort of circles who care how the raid is publicly portrayed—and who would be quite intimate with some of the folks hunkering down with Obama in the Situation Room on the big day. 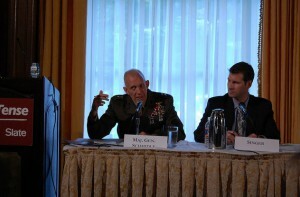 You can see a photo of Gen. Schmidle on a 2010 panel about “Warring Futures.” Event co-sponsors include Slate magazine and the New America Foundation, both of which, according to Nicholas Schmidle’s website, have also provided Schmidle’s son with an ongoing perch (withSlate giving him a platform for numerous articles from war zones and the foundation employing him as a Fellow.) These parallel relationships grow more disturbing with contemplation. So let’s get back to the question, Who is driving this Ship of State? Obama returned to the White House at two o’clock, after playing nine holes of golf at Andrews Air Force Base. The Black Hawks departed from Jalalabad thirty minutes later. Just before four o’clock, Panetta announced to the group in the Situation Room that the helicopters were approaching Abbottabad. To be really useful reporting here, rather than just meaningless “color”, we’d need some context. Was the golf game’s purpose to blow off steam at an especially tense time? Did Obama not think it important enough for him to be constantly present in the hours leading up to the raid? Is this typical of his schedule when huge things are happening? We desperately need a more realistic sense of what presidents do, how much they’re really in charge, or, instead, figureheads for unnamed individuals who make most of the critical decisions. Here’s something just as strange: we are told the President took a commanding role in determining key operational tactics, but then didn’t seem interested in important details, after the fact. Before the President returned to Washington, he posed for photographs with each team member and spoke with many of them, buthe left one thing unsaid. He never asked who fired the kill shot, and the SEALs never volunteered to tell him. 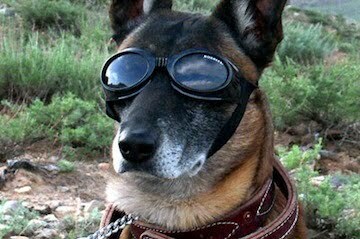 Why did the president not want to ask for specifics on the most important parts of the operation—but seemed so interested in a dog that participated? While it is certainly plausible that this happened, we should be wary of one of the oldest p.r. tricks around—get people cooing over an animal, while the real action is elsewhere. Certainly, Obama’s reaction differs dramatically from that of other previous presidents who always demanded detailed briefings and would have stayed on top of it all throughout—including fellow Democrats JFK, Carter and Clinton. At minimum, it shows a degree of caution or ceremony based upon a desire not to know too much—or an understanding that he may not ask. Does anyone doubt that Bill Clinton would have been on watch 24/7 during this operation, parsing legal, political and operational details throughout, and would have demanded to know who felled America’s most wanted? It seems to have depended heavily on trusting second-hand accounts by people with a poor track record for accurate summations, and an incentive to spin. The alleged decisions on killing bin Laden and disposing of his body lack credibility. The DNA evidence that the SEALs actually got their man is questionable. Though certain members of Congress say they have seen photos of the body (or, to be precise, a body), the rest of us have not seen anything. Promised photos of the ceremonial dumping of the body at sea have not materialized. The eyewitnesses from the house—including the surviving wives—have disappeared without comment. We weren’t allowed to hear from the raid participants. And on August 6, seventeen Navy SEALs died when their helicopter was shot down in Afghanistan. We’re told that fifteen of them came, amazingly, from the same SEAL Team 6 that carried out the Abbottabad raid—but that none of the dead were present for the raid. We do get to hear the stories of those men, and their names. Of course, if any of those men had been in the Abbottabad raid—or knew anything about it of broad public interest, we’d be none the wiser—because, the only “reliable sources” still available (and featured by the New Yorker) are military and intelligence professionals, coming out of a long tradition of cover-ups and fabrications. Meanwhile, we have this president, this one who according to the magazine article didn’t ask about the core issues—why this man was killed, who killed him, under whose orders, what would be done with the body. Well, he may not want answers. But we ought to want them. Otherwise, it’s all just a game.